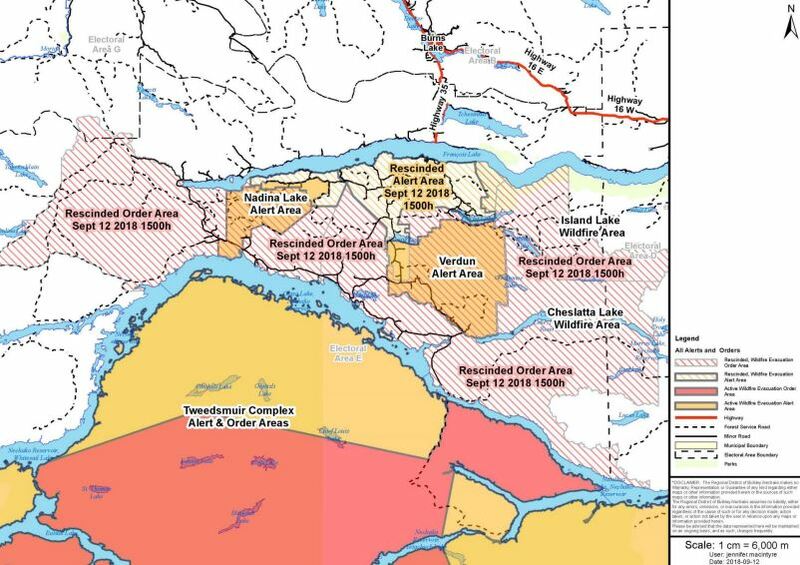 UPDATE: The Regional District of Bulkley-Nechako has rescinded the entirety of the evacuation orders for the Nadina Lake and Verdun wildfires, however, alerts do remain in place for some areas. 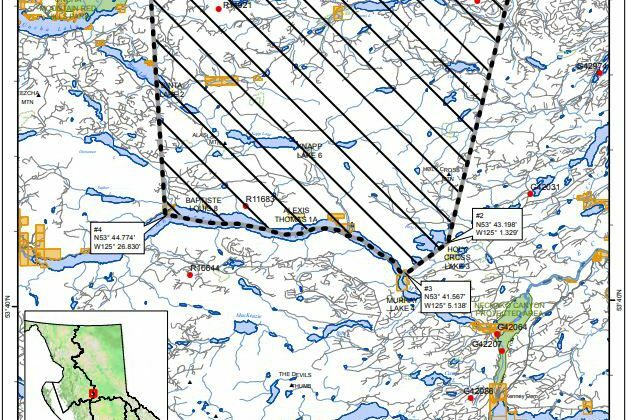 For the Verdun blaze, an alert remains in place from the intersection of Hewitt Road and Eakin Settlement Road to west of Ootsanee Lake, and south of Taysie Lake and Uncha Lake to Cheslatta River and Cheslatta Lake. For the Nadina Lake fire, the alert continues from W Francois Forest Service Road to Bickle Road W, south from Tatalrose Road to the north shore of Ootsa Lake. An area restriction for Crown Land in the vicinity of both wildfires has been implemented. The RDBN has rescinded the evacuation orders for the Cheslatta Lake and Island Lake wildfires in their entirety. 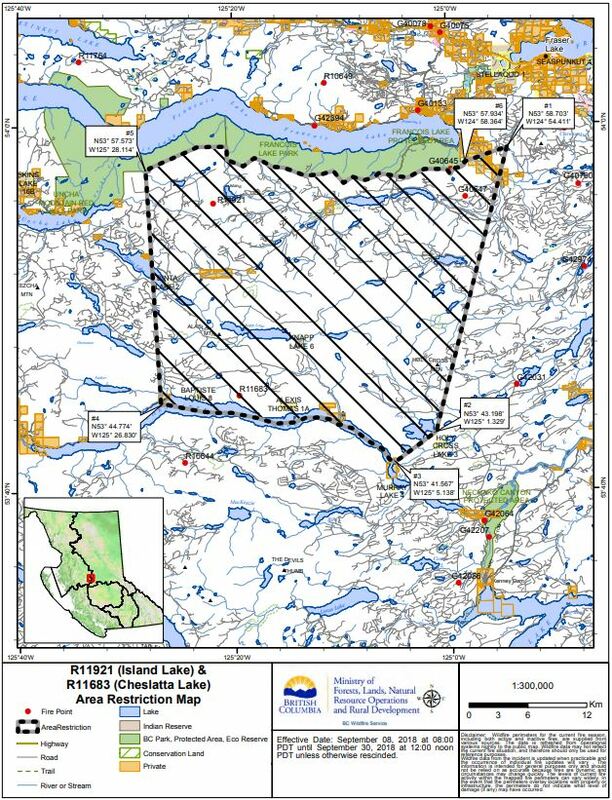 The Cheslatta Lake fire order was issued August 18th. It is currently listed at 8,100 hectares. The Island Lake fire order was issued August 8th. It is currently listed at 20,671 hectares and is one of eight wildfires of note in the Northwest Fire Centre. NOTE: Size of fires listed as of 14:16 September 12th.